When Siti was promised a high salary for working as a maid overseas, her parents urged her to leave their rural home in Indonesia’s rugged East Java province. There was only one problem – Siti was 14. Under Indonesian law, she would have to wait another seven years before being allowed legally to work abroad as a domestic worker. 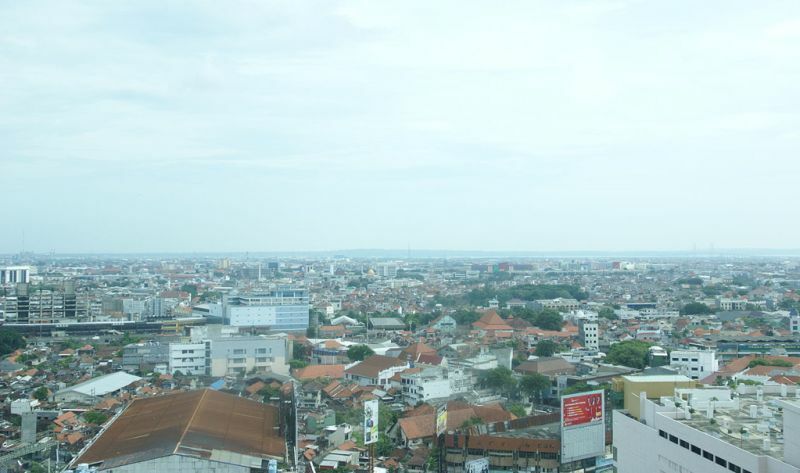 Surabaya, capital of East Java. Photo: Yeremia Evian via Wikimedia Commons. To get around the legal requirement, Siti’s traffickers forged a passport with a new birth date. But she still looked young, so they plucked and shaped her eyebrows in an effort to pass her off as a 23-year-old. “They trained me to lie about my age and to keep repeating, ‘I am 23’,” she told the Thomson Reuters Foundation. Exploitative recruitment agencies are believed to have trafficked hundreds of children to Hong Kong, Singapore and other Asian countries to work as domestic workers by using forged documents and bribing officials, rights groups say. Victims also face prosecution for possessing fake papers, they say. The agency that recruited Siti sent her to Singapore first, where she worked for a Swiss family, was given a bowl of instant noodles a day and paid SG$20 (HK$110) for 14 months’ work. “I cried every day. I was hungry,” Siti said. When she ran to the agency to ask for her wages, agents instead sent her to work for another family in Singapore who refused to pay for medical treatment after she injured her hand. She returned to Indonesia but not long after, at the age of 17, she was flown by the same employment agency to Hong Kong to work for yet another family. Abused foreign domestic helpers chat along a corridor in Bethune House, which provides temporary shelter for abused victims, in Hong Kong in 2006. Photo: Reuters/Paul Yeung. “I’ve been abused by others. I lost my childhood. I only knew hard work,” Siti said. 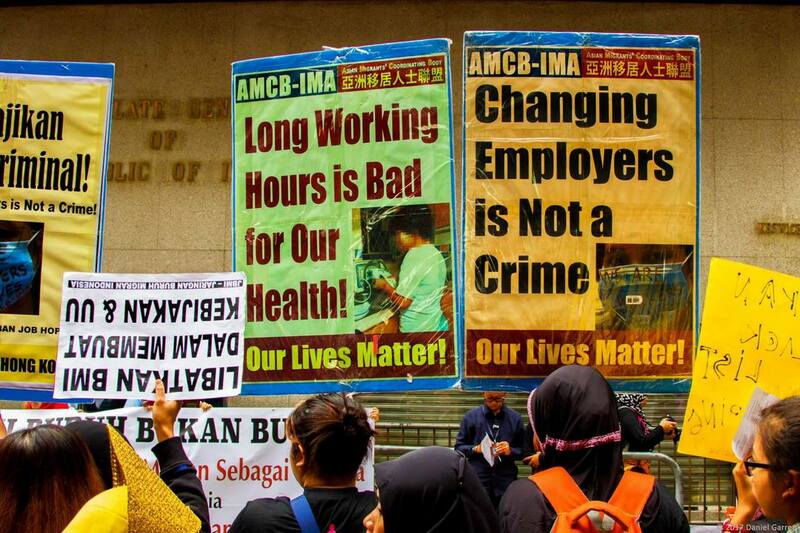 There are more than 340,000 foreign domestic workers in Hong Kong alone – more than half of them from the Philippines, with Indonesia making up the next biggest group. Most workers have migrated legally, driven by the opportunity to send money to their families back home. Global remittances are worth billions of dollars every year. But among trafficked workers, children are the easiest prey for criminal networks, campaigners say. “This child is only a source of income for them. There are thousands of other kids to be placed because someone is always desperate for a job,” said Maylin Hartwick, a campaigner from Harmony Baptist Church who has helped Siti and other child maids. Regional governments bear responsibility for what happens to their citizens and should take more action to prevent children from being trafficked, activists said. One relative success story has been the drop in underage Filipino maids in Hong Kong since Manila changed the legal age for women working abroad to 25 from 21 in 2006, said Cynthia Abdon-Tellez, general manager of the Mission For Migrant Workers charity. Indonesia, another key source country for foreign domestic workers, has taken a tough stance and recently suspended 190 employment agencies for illegal procedures, including forging passports, an official said. Domestic workers in a Hong Kong protest. File photo: Dan Garrett. “It’s about agencies making fast money,” said Indonesia’s consul general in Hong Kong, Tri Tharyat. Many women are issued with forged travel documents not knowing they are fake or finding out just before they are due to fly, he added. 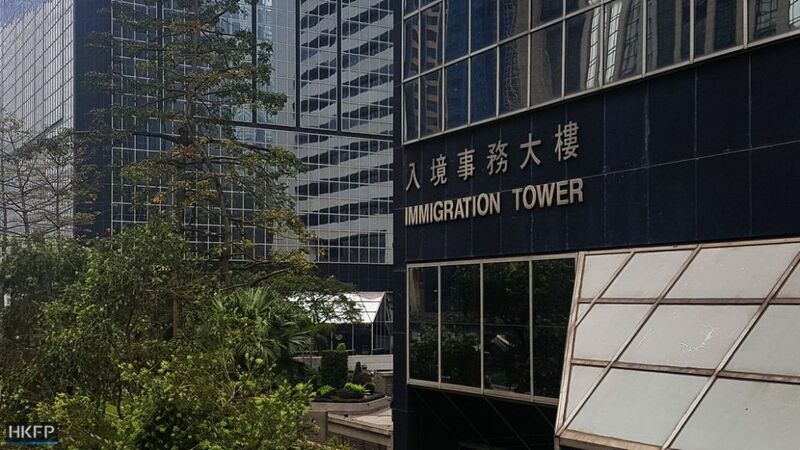 Since introducing a new biometric system in 2013, the consulate has discovered 30 forged passports among the passports belonging to more than 150,000 Indonesian maids in Hong Kong, Tharyat said. Some victims of trafficking risk being prosecuted for being in possession of forged documents given to them by recruitment agencies, campaigners said. Vica was only 15 when she left Indonesia to work in Hong Kong, entering with a forged passport provided by her traffickers that put her age as 23. After returning to Indonesia for a while, she re-entered Hong Kong using another forged passport given to her by another agency. When she applied for a new passport, the Indonesian consulate had two different records of her date of birth. Soon after, she was arrested by the Hong Kong immigration department for having two identities and investigated. Using a forged travel document and making a false representation about one’s identity to an immigration officer can lead to up to 14 years’ imprisonment or a maximum fine of HK$150,000. Hong Kong Immigration. File photo: Tom Grundy/HKFP. It took Vica 10 months to fight for her new visa and Hong Kong identity card. Unlike 14 other Indonesian women she knows who were jailed for having forged passports, Vica was able to avoid prison because the authorities believed she was not complicit in the crime. Campaigners say that Hong Kong needs a comprehensive anti-trafficking law to protect and prevent Indonesian women from going to jail for being a victim of agencies using forged passports. “Many countries believe Indonesian women are criminals and cheating. 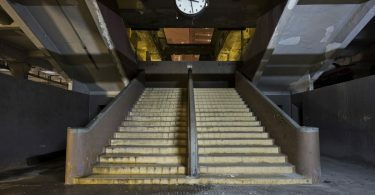 They have to see it from angle of human trafficking and cheating,” said Eni Lestari, chair of the International Migrants Alliance. 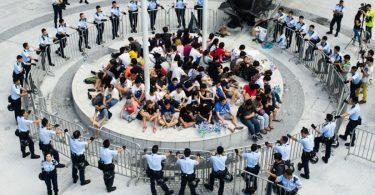 Hong Kong’s Security Bureau, in charge of law and order and immigration, said the city already has in place comprehensive laws to combat trafficking in persons. “There is no sign that Hong Kong is being actively used by syndicates as a destination or transit point for human trafficking,” it said in a statement. By Sylvia Yu; Editing by Katie Nguyen.